Last week I spotted a recipe on Facebook that I could not ignore, this recipe looked so decadent that I knew I needed to try it ASAP. So, here we are. 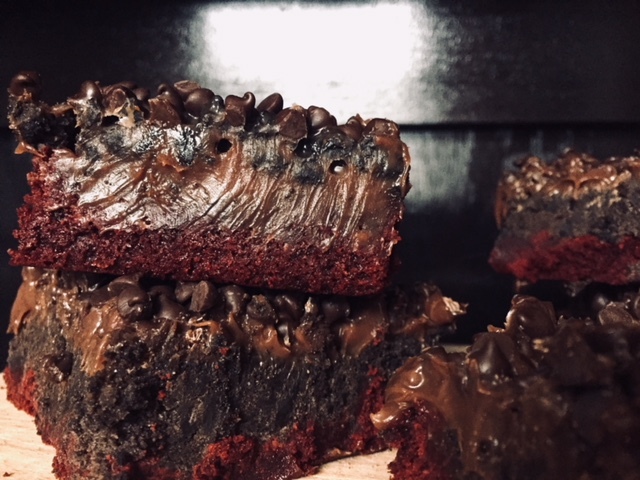 Red Velvet Oreo Truffle Brownies, these babies combine my fascination of Oreo's and all things red velvet. Surprisingly, the most delicious part is the milk chocolate ganache mixed with the smooth crunch of the Oreo's. These brownies are just plain delicious. They aren't fancy or pretty but does a brownie really need to be pretty? Jump on over to Kevin & Amanda to grab the recipe. Let me know what delicious recipes you'd like me to try next!